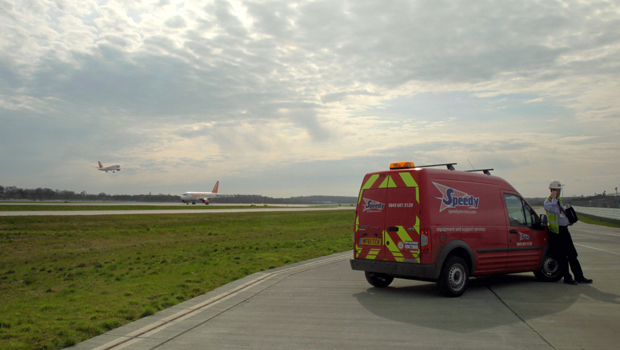 Speedy Airport Services has well and truly taken flight, after the leading integrated asset services provider secured a two year partnership contract with Gatwick Airport Limited to supply a range of services from Tools & Powered Access to TRIM services (Test Repair Inspection Maintenance). Speedy will demonstrate its ability to deliver the right products and services at the right time, by utilising its three depots local to the Airport. The partnership means that Speedy will supply not only Gatwick, but also all of its associated contractors and sub-contractors both landside and airside. The company will support the contract delivery with one central point of contact, and a 24 hour emergency response service to all contractors working at the busy 24/7 operation. Speedy also have a Training facility at its Lifting Depot located near the Airport on Fleming Way, bringing a range of training courses even closer to Gatwick, in a bright and friendly environment. David Shanahan the Airports’ Infrastructure Manager, said “This is further evidence that Speedy has the depth of knowledge and understanding to provide a full suite of support services to not only Gatwick Airport Ltd but also to the contractors working for them, although we have experience of a similar supply chain framework with Thames Water and National Grid amongst other large operations UK wide. The initial 2 year partnership deal with the airport will ensure that contractors and sub-contractors have access to the full range of services from Speedy at pre-agreed terms, which have been negotiated on their behalf by Gatwick Airport. Contractors will also have access to the Speedy Extranet System to better manage their accounts, from the hiring & tracking of equipment to the purchasing of kit and consumables via the company’s Speedy Sales operation.